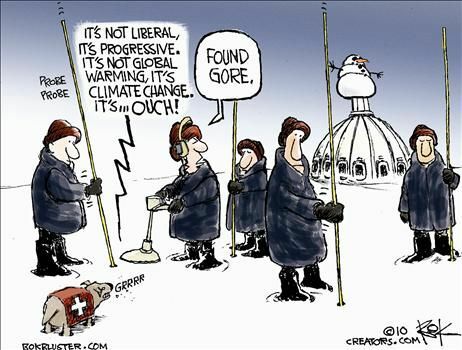 Science and Global Warming: A Joke? My good friend, Frank Fujita, responded to my posting Al Gore and Global Warming jokes posted on this blog with the following remark and URL. I hope you will check-out this article that Frank submitted. I have withheld my judgment on this important matter of anthropogenic global warming for a long time. Of course, it is only appropriate that we try to keep our enviroment as clean as we reasonably can, independent of the global warming debate. But this area of scientific inquirery has been highly politicized. From the far left comes “Cap and Trade”, a thinly veiled vehicle for world-wide income redistribution and murder for our own capitalistic enterprises. From the right, comes the specter of a total disregard of our ecological responsibilities. At least, those seem to be the polemics surrounding the global warming debate. I will agree that a joke is not an argument. But I will also assert that some arguments are jokes. 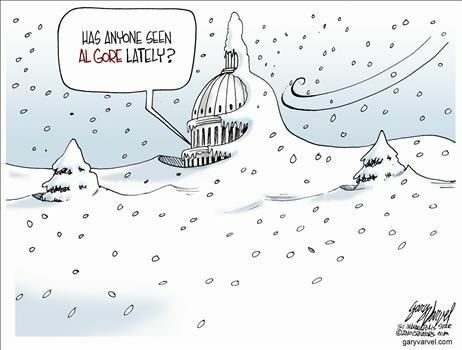 This increasingly appears to be the case with the science surrounding the current global warming scare. It was big news this week when leading climatologist, Phil Jones, confessed to significant problems with the global warming data. Check it out for your self. Of course, I am open to more data on this matter. But, as a socioculture, we must conduct our business as best we can—-in the here and now. What do you think about this important issue of Anthopogenic Global Warming? This entry was posted on February 17, 2010 at 11:37 AM and is filed under Boiling the American Frog. You can follow any responses to this entry through the RSS 2.0 feed. You can leave a response, or trackback from your own site. I can certainly agree with the sentiment that some arguments are jokes. Cap and Trade isn’t some new system that has never been tried here in the US. We already have a Cap and Trade system in place for sulfur dioxide, nitrous dioxide, and some organic ketones. Certainly the cap and trade system for carbon would be much larger than these other systems — but this is a difference of degree, rather than a difference of kind. And of course a simple carbon tax, refunded per capita, is the best solution. Everybody pays for their carbon usage, and then everybody gets a refund equal to the total amount paid divided by the total number of people paying into the system. This would effectively be a wealth transfer from the high carbon emitters (like Al Gore) to the low carbon emitters (like your average person living on only Social Security). This carbon tax would automatically make nuclear, solar, hydro, and wind power much more competitive.